Jeremy Thorpe, who has died aged 85 after a long battle with Parkinson’s Disease, was a politician of great charm and brilliance who was brought down by a persistent streak of recklessness that prevented him achieving his full potential. The scion of a family steeped in Conservatism, he dressed like an Edwardian but identified himself as a radical at a time when the Liberal Party — saved from oblivion by the canny and charismatic Jo Grimond — was distinctly unfashionable. I first met Jeremy when I was Secretary of the Oxford University Liberal Club about 1971 and he came to speak at the Oxford Union, as Liberal Leader. He was funny and gracious, a scintillating speaker and at heart a great showman. Which other party leader in those days would have dreamt of conducting an election tour by hovercraft? But he very nearly destroyed the Party he loved by his feasting with panthers (as Oscar Wilde would have put it), though in Jeremy’s case it was not a young Scottish aristocrat who would prove to be his nemesis, but a stable lad and sometime male model, Norman Scott, who became the target of an extraordinary plot by some of Jeremy’s associates, which famously led to the death of Rinka the dog. It should be stressed that in the subsequent trial Thorpe himself was found not guilty of conspiracy to murder, but the case against him could hardly have been more damaging to his political cause. Yet he rashly thought (wrongly) that the people of North Devon might forgive him and re-elect him. Jeremy was bisexual, but too traditional to admit that publicly, and the lies he told to some of his parliamentary colleagues to cover up his true nature made him persona non grata with some in the Liberal Party and then the Liberal Democrats who never forgave him, though others of us remained faithful friends. His second wife, the concert pianist Marion Stein — who predeceased him — was amazingly resolute in her support for him and it was always a pleasure to visit them at the beautiful house in Orme Square that she had received in settlement from her previous husband, the Earl of Harewood. The last time I saw them together was at Jeremy’s 80th birthday celebrations at the National Liberal Club, when they were both in wheelchairs, and one had to get very close to Jeremy to hear what he was saying. But his brain remained razor sharp till the end. This entry was posted on Thursday, 4th December, 2014 at 4:58 pm	and is filed under Jeremy Thorpe, Jo Grimond Liberal Party, Liberal Democrats, Marion Stein, North Devon, Oscar Wilde, Rinka. You can follow any responses to this entry through the RSS 2.0 feed. You can leave a response, or trackback from your own site. 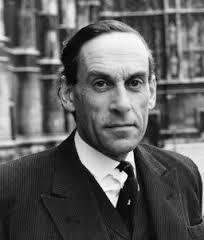 I always had a soft spot for Jeremy Thorpe regardless of the mess he got himself into. He was a colourful, genuinely charismatic politician. I always thought his greatest campaign was the EU referendum in 1975 when he outshone whoever he shared a platform with at some huge rallies – Heath, Jenkins and others were constantly overshadowed. One story from later in his life might be familiar to you. We were at a Christmas party at your house in the early 1990s and when we noticed our two eldest daughters Eleanor and Olivia had disappeared I went to find them. They were with a few other young children sitting on the stairs with Jeremy Thorpe telling them some wonderful Christmas stories. The children were enthralled but had no idea who this man was until Catherine Furlong walked past and said that one day they would read about him in their history books. Jeremy just turned round and said “I don’t think so. I’ll be a tiny footnote at best”. He deserves more than that. It was so sad to see him struggling with Parkinson’s in recent years. I sincerely hope he does Rest in Peace. I remember reading page after page in the Times about his trial. During those proceedingsThe Times was shut down (and remained so for a number of months) which was poetic justice. When I was a teenager he came to dinner at our house to meet Phillip Watkins who was staying with us while auditing the regional accounts. This might have been quite a dull, business orientated event. A lot of business got done, but I remember a kind and funny man who in spite of great responsibilities could make time for a pair of spotty teenagers. It was said locally, that the press were there for the dog event, before any of the participants, and the whole thing was said to be a set up. But whatever the truth, it was such a pity that it ended the career of such a great leader. He certainly deserves a lot more then a footnote in history. He built on Joe Grimmond’s efforts, and brought a lot of important people into the party. Without Jeremy, we would probably not now be in coalition, or had the influence that we have had in Edinburgh.